It is our pleasure to announce that the 2019 3rd International Conference on Automation, Control and Robots (ICACR 2019)will be held in Prague, Czech Republic, on October 11 - 13, 2019. ICACR 2019 will offer opportunities to bring the experts from both academic and industrial fields together to attain synergetic exchanges of ideas and practices. Prospective authors are invited to submit high-quality original research and technical contributions for presentations and posters in conference. ICACR 2019 provides a forum for researchers and practitioners involved in different but related domains to confront research results and discuss key problems. 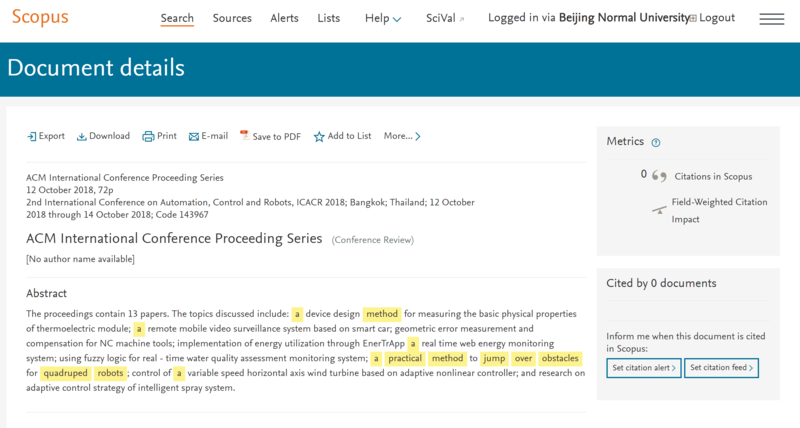 The scope of ICACR 2019 includes the research and development fields of collaboration technologies and their applications to sensing, automation, control and robots. application domains include, but are not limited to intelligent control systems and optimization, signal processing, sensors, systems modelling and control, robotics and automation, industrial engineering, production and management, etc. The ICACR 2019 will set several Best Paper Awards (Certificates) for student authors/presenters. English is the official language of the ICACR 2019. The version of your submission must be in the requested format. The authors are suggested to use the formatting template. Submitted papers will be checked plagiarism, including self-plagiarism firstly by Cross-Check and then submitted to the TPC for further review. After several peer review processes, accepted papers will be published in the ICACR 2019 Conference Proceedings, indexed by Ei Compendex and Scopus, like the previous years. Feb. 19, 2019 Good News! 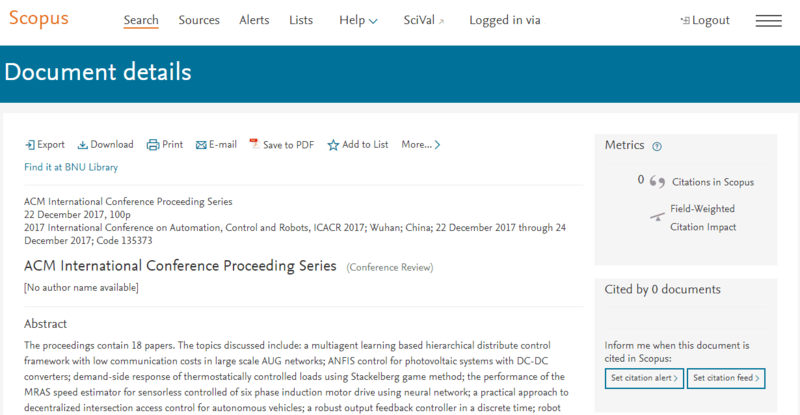 All accepted papers in ICACR 2018 conference proceedings has been indexed by Ei Compendex and Scopus index. Jan. 7, 2019 Good News! 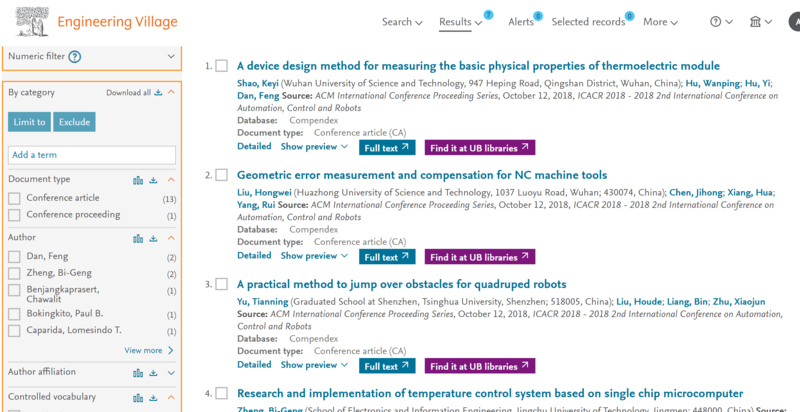 Accepted papers in ICACR 2018 conference proceedings has been online in ACM Digital Library. July 11, 2018 Good News! ICACR 2017 Conference Proceedings has been indexed by Ei Compendex and Scopus already. Good News! 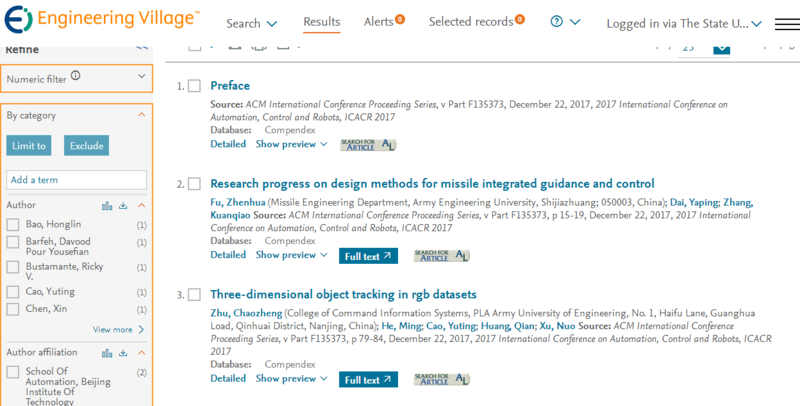 Accepted papers in ICACR 2018 conference proceedings has been online in ACM Digital Library.